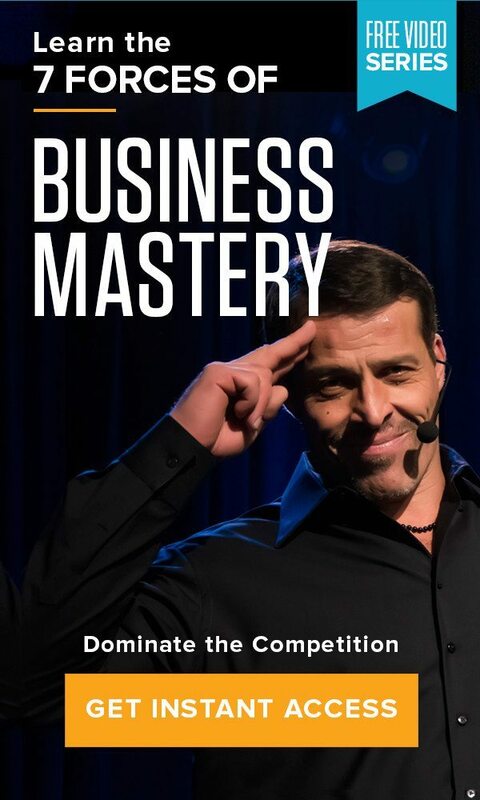 Home » The Tony Robbins Blog » Career & Business » The 3 business archetypes of N.W.A. The 3 business archetypes of N.W.A. Five teenagers with a dream change the world. No, we’re not talking about Facebook. Young entrepreneurs create a product so innovative, relevant and marketable that nearly thirty years after release, the brand is still revered world-wide with a raving fan culture. Don’t assume we’re talking about Apple. Or Starbucks. Or even Netflix. def: a person who organizes and operates a business or businesses, taking on greater than normal risks in order to do so. One of the greatest rags-to-riches business sagas of our era began in one of the most dangerous neighborhoods in America — Compton, California, of the ‘80s. But unlike the fabled, golden garages in the suburban tranquility of Silicon Valley, hip-hop pioneers N.W.A. toiled in bedrooms and warehouses throughout the mean streets of south central Los Angeles. And like many massively successful brands, theirs was founded on a deep, authentic love for both the work and its impact. Beyond their products being music and merchandise, and their service being live performances, we can now recognize N.W.A. as a contemporary company in the same model as Instagram. Small team, infinitely-scalable success. A small business assembled by individuals of contrasting and complementing talents that would not only augment and intensify their success, it would eventually tear them apart — and, in the process, spawn a new, unheralded model for the future, forever fusing entrepreneurship with art. In 1986, while multimillionaire Steve Jobs was struggling to recapture the post-Apple magic with his startup neXT, 400 miles down the coast, the members of N.W.A. were struggling to tread just above the poverty line, finish high school and avoid harassment by both street gangs and the LAPD — while pursuing dreams of new, more authentic expression in music. By blending cutting-edge production and sampling with lyrics providing a previously unheard social commentary, they struck a raw nerve, but not by merely satisfying a niche. N.W.A. exploded into global mainstream stardom, changing popular culture and producing a product still reverberating throughout the market today. To understand what made N.W.A magic — and how you can model their incredible success for your own enterprise — it’s essential to recognize the nature of the major players and the driving forces in their personalities. As with the most temperamental of all the business personalities, artists can be sensitive to insult and deception by colleagues. As people whose primary instrument is their ability to channel subjective insights, feelings and innermost thoughts into the work they create, high levels of uncertainty and possessiveness can become self-defeating hurdles to overcome. Steve Jobs, for instance, viewed his work as art and became infamous for his explosive, incendiary reactions not to challenges to his most intuitive ideas, but to questions of loyalty among his inner circle. In parallel, when Cube becomes suspicious of Jerry Heller, Eazy-E’s manager and N.W.A.’s de facto CFO, he demands equal compensation for publishing rights. Unwilling to “play ball” or be denied what he feels was rightfully earned, Ice Cube splits from N.W.A. and forges a highly successful solo career, forming his own label and elevating his talents, unencumbered. Breaking free from Heller’s shady dealings only escalates Cube into another raw deal, finding as his fame and sales grow, his label’s unwillingness to compensate him for his art pushes him to seize control of his career. He diversified his talents beyond music into directing, writing and acting and grew into an unstoppable creative force, on his own terms. 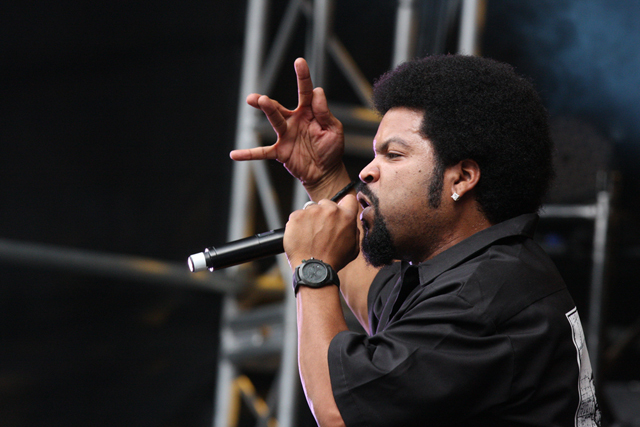 Ice Cube remains, arguably, the most personally famous and prolific of the group, going on to become not only an amazingly successful and respected solo artist, but headlining actor and filmmaker in blockbuster Hollywood releases. Andre Young, as portrayed in “Straight Outta Compton, is the supreme dreamer, understanding not only where music was coming from but where it could go — and how to combine influences to create something unheard of and unprecedented. But disappearing into the comfort of dreams and schemes proves to be the barrier he must break through in order to achieve his ultimate destiny as one of the most empowering creative leaders in modern music. Before N.W.A. assembled, Andre Young was scraping together a living as a DJ for hire in local clubs, earning what little he could to support his girlfriend and baby daughter, while still sleeping in his mother’s small house. As Dr. Dre, Young produced the beats and arrangements powering the raw lyrical assault of Ice Cube, combining into a formidable stage act. But it’s not until Dre hits the studio and gently guides Eazy-E into his first vocal performance, realizing his unique ability for discovering and nurturing talent, who would go on to eclipse N.W.A.’s fame and impact. Famously, as a more mature mogul, Dre would mentor and produce superstars like Snoop Dogg, Tupac Shakur, Eminem, 50 Cent and Kendrick Lamar, winning multiple Grammy awards and almost single-handedly creating a signature sound and legacy within the music industry. But as a young man, Dre’s missteps toward leadership revolve around his emphasis on maintaining harmony within the group — forfeiting power to Jerry Heller and allowing the schism to emerge over finances that would end up destroying N.W.A. and bankrupting Eazy-E. Like many business leaders before him, Dre makes the same mistake again, on an even greater scale, with a more ambitious and less trustworthy partner in Suge Knight. Seduced by Knight’s offer to run the business while Dre concentrated on the music, it’s not until events spin out of control that he finally steps up to become the visionary manager-leader he must embody and form what would become his most successful label, still producing hits to this day. The true entrepreneur is a thrill-seeker. The rush of unpredictability and risk. The sense of exhilaration and life on the edge. 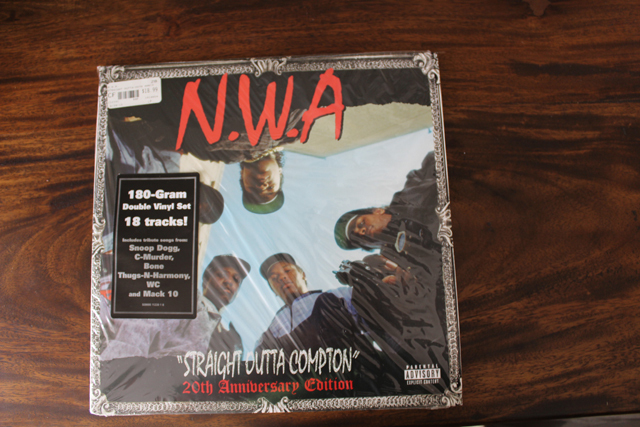 “Straight Outta Compton” opens with a bang on Eric Wright, the low-level drug dealer, escaping both a shotgun standoff, then a full-scale police raid before being convinced by Dr. Dre to invest his illicit earnings into recording. And using the selling and persuasion skills he’d honed on the streets to push records. 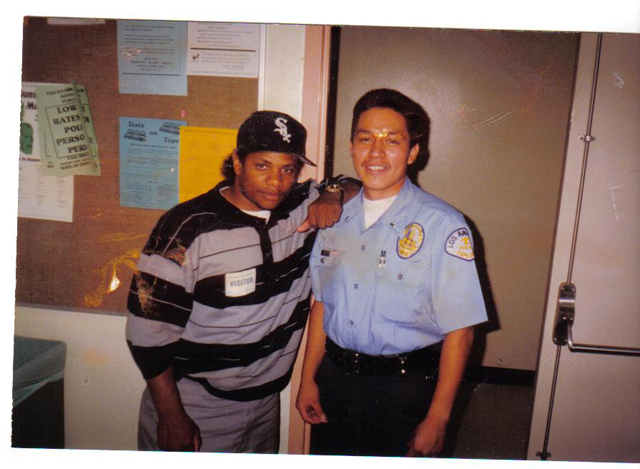 Eazy-E was a charismatic and a natural-born marketer. In the height of N.W.A.’s fame, he understood intuitively how to spin and leverage the police shutdown of their Detroit headline show, inciting public outrage into a brilliant piece of PR, rocketing their exposure and their record to even higher sales. When issued an official notice of investigation from the F.B.I., Wright saw beyond the immediacy of the threat to the explosive market potential — how better to solidify their reputation as gangsters than by publicizing a running beef with the feds? None of this would have happened if it weren’t for the fateful meeting between Wright and Jerry Heller — a former record exec then running a small vinyl imprint house — who immediately recognized Wright’s star power and offered to solidify his career by lending his legitimacy to help form Ruthless Records. They negotiated an 80/20 split of profits, with Wright making the lion’s share, but as N.W.A’s career progressed, it was Heller acting as the group’s CFO, using their own financial data and raw intelligence to embezzle and siphon money into his own accounts. 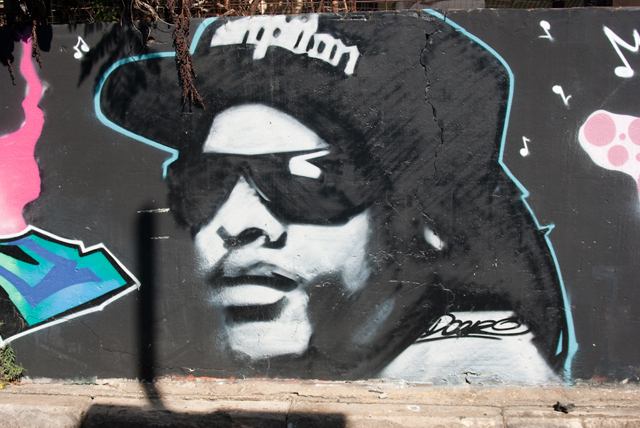 Eazy-E’s story is by far one of the most exemplary rises and tragic downfalls in modern music. Following the dissolution of N.W.A., Wright struggled to maintain his solo career and the lifestyle he had created for himself, downsizing with his girlfriend from their Hollywood Hills mansion to a humble single-family house. Soon after, he was diagnosed with AIDS, and the world famous hip-hop superstar was fighting for life in a hospital bed, unable to pay his medical bills. With “Straight Outta Compton” ruling the North American box office for three straight weeks at #1, the story of a thirty-year old music group is as relevant today as they were incendiary in the ‘80s. 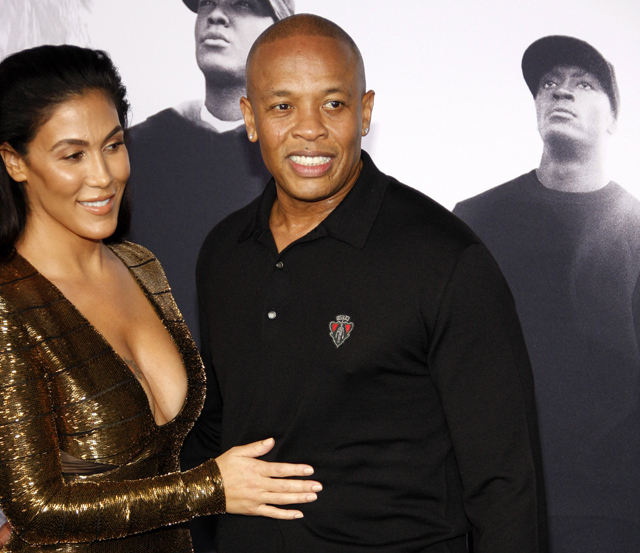 But more notable is the coordinated marketing approach intertwined with the release — Dr. Dre strategically announced and dropped his swan song album, “Compton: A Soundtrack” the week prior, exclusively through Apple’s Beats Music — the streaming and peripherals brand purchased from Dre for $3 billion, making him the richest mogul in hip-hop.